Annual meeting, are you ready? The annual meeting of the Society for Economic Botany is a unique event where ethnobotanists and plant lovers meet to discuss and share their latest discoveries and field experiences in a welcoming and friendly environment! Meet old friends, make new ones and learn more about the student committee and the many ways you can get involved and make a difference to promote our science. This year, we will be meeting at Pine Mountain Settlement School, Kentuky, June 5-9th. Early registration deadline is April 15th and make sure you renew your SEB membership! You can easily join/renew your membership online here. Don’t miss this opportunity to network and expand your knowledge! As a student, YOU are the future of the Society and the future of ethnobotany. We need you and your ideas, get involved and join a dynamic network of student ethnobotanists by joining or renewing your membership! Click here! 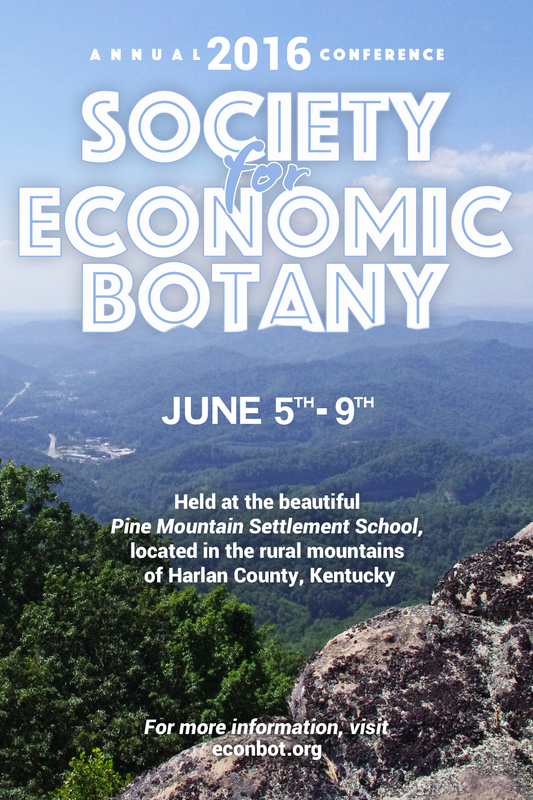 Some of the exciting events you can sign up for include workshops, a service activity to give back to Pine Mountain and Eastern Kentuky, a symposium from past Distinguished Economic Botanists on the future of the Society, working groups, evening socials and more!! Sign up for the conference here, we have special discounted prices for students! Resilience in the Face of Resource Extraction: Ethnobotany and Exploitation. This conference will discuss approaches to protecting biodiversity and cultural traditions in times of economic transition. The coalfields of southern Appalachia embody the tensions between economic and environmental sustainability. Traditional Appalachian culture is deeply connected to the native flora and fauna, yet resource extraction continues to shape the geography and economic future of the region.